If you don’t watch The Walking Dead, you’re probably better off. But still, it’s a bit addictive. In short, zombie apocalypse. People get bit, get infected, die, and come back as brain-dead “walkers” who continue the vicious cycle of biting, infecting, dying, resurrecting, etc. Now, I’m fairly certain that the zombie apocalypse isn’t something we need to worry about…but you should be aware of the mixing apocalypse. This one’s trickier. You may not know you’re infected. But you can easily see the results if you know where to look. 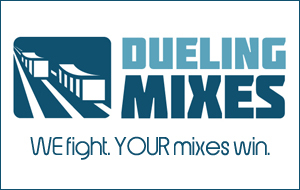 It all starts with a hunger…a hunger for better mixes. So you try your hand at it, but your mixes sound dead, lifeless. This is the moment of truth. You have a choice. You can work to get better mixes, or you can become a mixing zombie. The sad thing is that most mixing zombies don’t realize they’ve been infected. They just keep on mixing. You mix an mix, but your mixes aren’t getting better. You learn one new “trick” after the other, and you “practice” your new trick for hours, but you never actually use it to complete a mix. You repeatedly try the same techniques on mix after mix, mindlessly doing the same thing, but expecting different results. You go on a spending spree every time you get fed up with your mixes, hoping that new piece of software will finally transform your mixes. You refuse to consider the fact that the problem with your mixes might be you. You refuse to acknowledge that your mixes don’t sound good because a. your recordings don’t sound good and b. you’re not good at mixing (yet). …you might be a mixing zombie. All you have to do is BE HONEST WITH YOURSELF. I love teaching recording and mixing. I really do. Because I LOVE that feeling of finishing a mix and being honestly proud of how great it sounds. It’s an awesome experience, and I want you to experience it too. So…have a zombie intervention with yourself. Take an honest look at where you are, and make a plan for how you’re going to get better. It could mean finding someone in your town whose mixes you like, and asking to spend some time with them. It could mean reading some books on the subject. It could mean dedicating more time to your studio.